Not since the holiday season has there been a title that’s sent gamers into a frenzy like BioShock Infinite has. Originally announced back in 2010, the third entry in the popular FPS series has had everyone patiently waiting for over three years, with 2K Games pushing back the game stating it wasn’t up to par. But with every delay came a series of trailers and pictures that hit the net, building on the buzz heading into its official launch. Those who’ve caught onto the early impressions (and reviews) have heard the Game of the Year chants already. 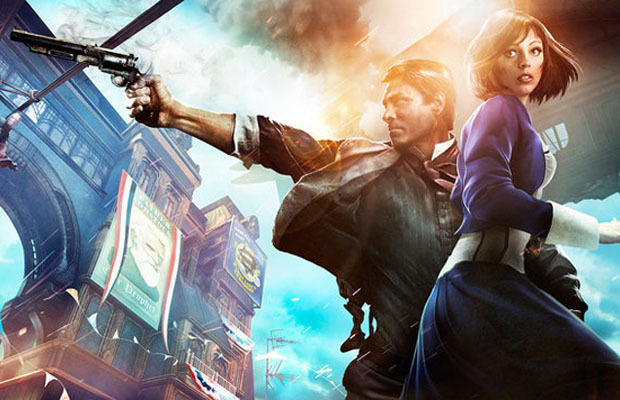 Having tested our copy, we questioned whether 2K and developer Irrational Games could pull off an amazing game capable of living up to the constant delays? And at this point, we’re either going with major disappointment or GOTY frontrunner. What’s the call? We’re leaning towards the latter. Excellent review plain and simple. This game is absolutely my game of the year so far.